An ode to the scenic beauty of the steep hills of the Mosel and why the Ürziger Würzgarten should hold a special place in our hearts. Mosel is endowed with some great terroirs. Names such as Wehlener Sonnenuhr, Bernkasteler Doktor, Scharzhofberger or Brauneberger Juffer-Sonnenuhr have whet the eyes of Riesling lovers for decades if not centuries. All the above terroirs have slate as their common geological element. Possibly even more so than in Burgundy, it is the many small terroir details that shape the character of Mosel Riesling: Does the vineyard face south? Does it oversee the River or is it tucked in a side valley? What is the nature of the slate? Blue? Grey? How weathered is it? Is there quartzite? How deep is the soil? Etc. Change any of the above parameter and Riesling will deliver a completely different wine! This diversity and transparency to terroir is one of the fascinations of the Mosel and why there are so many different great vineyard names in the Mosel! But one terroir holds a special place in our heart: The Ürziger Würzgarten. It is one of the most remarkable terroirs of the Mosel and this alone should be enough to warrant a special place on our heart. The upper part of the hill is not on slate but actually on a completely different and almost unique soil of red sandstone and volcanic soil. This yields fiery and often very black current and grapefruit infused wines which are hard to resist. But the uniqueness of the soil is not the main reason for our special affection for the Ürziger Würzgarten. The main reason is that the Ürziger Würzgarten is pure living history. The part downriver from Ürzig is one of the last few vineyards in the Mosel which is still tended “like in the old days”, i.e. the vineyard still goes right up to the hill top and almost all vines are still trained on the traditional single pole. 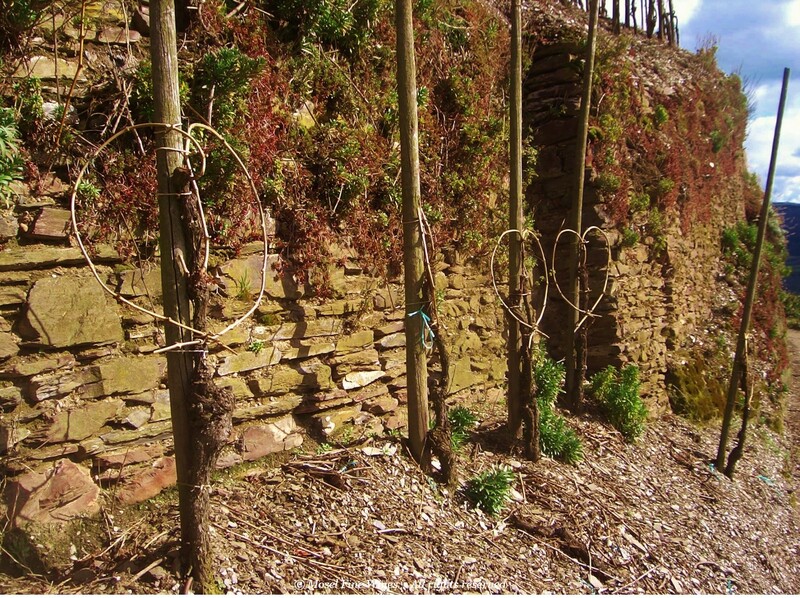 In addition, a large part of the vines is still un-grafted and often very old, sometimes more than a century old! 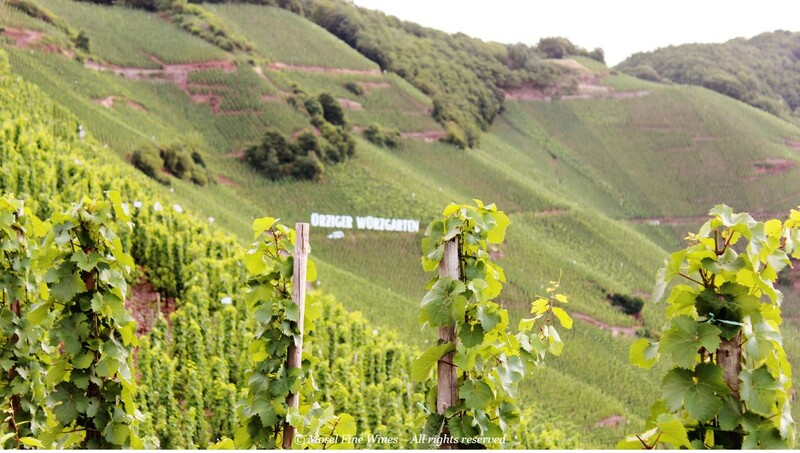 It is a fact known to few but phylloxera never really thrived in the Mosel so that most quality winemakers replanted with un-grafted vines until the mid-2000s, i.e. until this practice was eventually banned by law. While scenic, the “tending the vineyards like in the old days” makes for a tough life for the winemakers. They are hardly any roads to get up the hill. Tending and harvesting the vineyards on single pole is pure hard labor with few machines being able to help. In summary: this method is an anachronism in the modern world. And yet, the Ürziger Würzgarten, a full hill, is still managed in this traditional way. So, the next time you enjoy an Ürziger Würzgarten, have a thought for the winemakers and the uniqueness of this hill.